Most people dream of the nice house in the suburbs with the white picket fence and the beautifully manicured lawn, but while many may end up with that house and fence, their lawn is spotty at best and filled with crabgrass at worst. 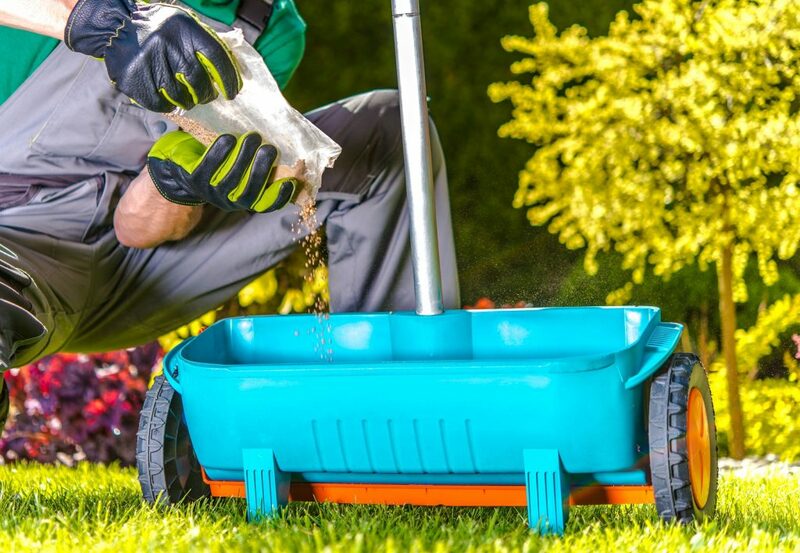 Lawn fertilization is the missing link when it comes to having the yard of your dreams, but it can be a hassle trying to figure out the right nutritional balance and the proper maintenance schedule. For that reason, you should hire a professional. Pros understand the steps to natural fertilization, nutrition and whether synthetic or organic fertilizers are best for your situation. Most people cut their grass on their mowers lowest setting and bag up the lawn clippings, but that is the worst thing you can do. For a healthy and naturally fertilized lawn, you should cut your grass on your mowers highest setting, and leave the clippings, as they will help to feed your yard. However, lawn fertilization is about more than mowing and the benefits of clippings. Your yard depends on a balance of several chemicals to be lush and pristine. All of these chemicals are usually present in every fertilizer in different balances, meaning that you need to pick the best option for your lawn. You can choose between synthetic or organic, and while each has benefits, there are distinct differences. Synthetic fertilizers as referenced in the name are manufactured, and as a manufactured product it can be harmful to the environment and yourself. These products will help your lawn develop, but they may not be the most efficient. Organic fertilizers alternatively, are entirely natural, providing minerals and nutrients from elements like limestone. The other benefit of organic fertilizers, aside from being better for you and the environment, is that they work by slowly releasing the chemicals into the soil, which makes for healthier and stronger grass roots. Lawn fertilization is key to a beautifully manicured and lush yard. However, the upkeep of fertilization can be difficult, which is why a professional should be hired.